How can I stop my horse's tack going mouldy in a damp tack room? 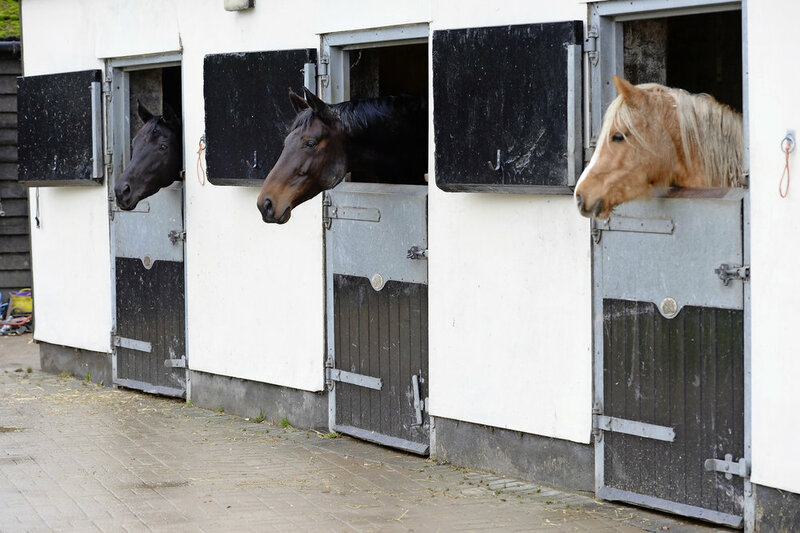 We asked Oonagh Meyer, Head of Approvals at The British Horse Society, for her yard hygiene tips in winter. What can I do to stop my tack from going mouldy from a damp tack room? It’s really important that you avoid damp in your tack room as it can harm the leather and stain the appearance of your tack. Cleaning your tack on a regular basis and not allowing it to get too wet when you do clean it will prevent the build-up of mould. Keep the room well ventilated and as dry as possible – this could be done by an appropriate heater that could operate on a time switch. If you do use an electrical heater, make sure it's safe and secure and meets the electrical safety testing requirements to minimise the risk of fire. You also need to consider where you might put the heater. Don’t leave it too close to leather or other equipment and make sure you don’t cover the heater. Is there any way to stop my taps freezing? Assuming that the taps aren't in reach of any horses (so they won’t be able to chew at the padding) then you can insulate them with pipe insulating tubes, which are available at most hardware stores, or use cheaper pipe lagging strips. You can cut the material to fit your needs but you’ll need to use strong tape to secure the tubes around the tap and the water pipes that supply the tap. If the taps are outside then you may additionally need to wrap plastic feed bags around them too – this would prevent them becoming wet and reduce the risk of the pipes freezing.